Have you considered applying for a competitive national fellowship or scholarship but don’t know where to start? This workshop will provide students with information on a variety of prestigious awards and aid them in determining the best opportunities to meet their interests. Registration is requested but not required. 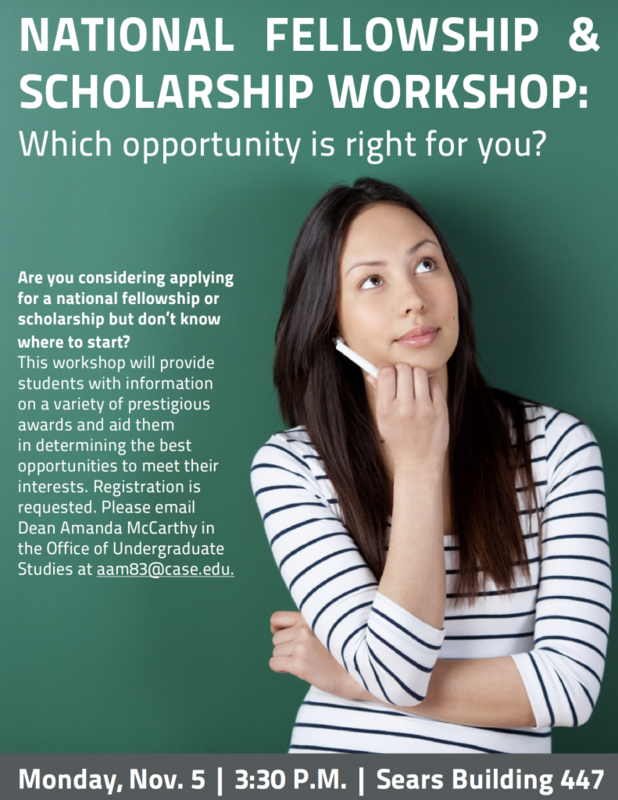 Please email Dean Amanda McCarthy in the Office of Undergraduate Studies at aam83@case.edu to confirm your attendance.